Artisan Window Washing and Gutter Cleaning provides professional cleaners for quality building maintenance and cleaning services to King County and Snohomish neighborhoods around Seattle, Washington. We wash windows, clean gutters, pressure wash driveways, service walkways, and decks, and clean roofs for residential and commercial properties. We can also help with bird and insect control. 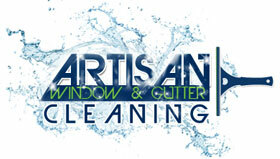 Artisan Window Washing and Gutter Cleaning is licensed, bonded, and insured. Our owner is on site for every job. Free your time and care for your home and property by allowing Artisan Window Washing and Gutter Cleaning to manage clogged gutters, dirty windows, roof moss, insect and animal infestation, and algae build up in an extremely professional manner.